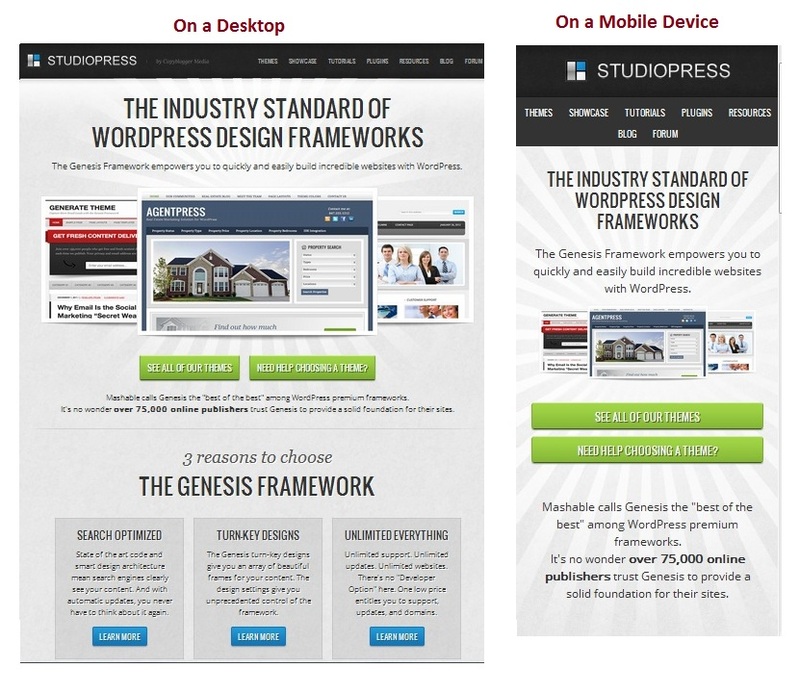 Is Your Mobile Web Design Responsive? Responsive mobile web design is a relatively new design technique that enables webpages to adapt their layout to the viewing environment. When using it, one single website can adjust to display effectively on all web-viewing platforms. No matter if your site is shown on a desktop, a tablet device, an iPhone or a Blackberry, the site’s look is reformatted and arranged for optimal display, while making it easy to read and browse without the tedious need to zoom in or slide the pages from one side to the other. If you have a WordPress website or are planning to start one soon you may want to consider using a mobile web design theme. 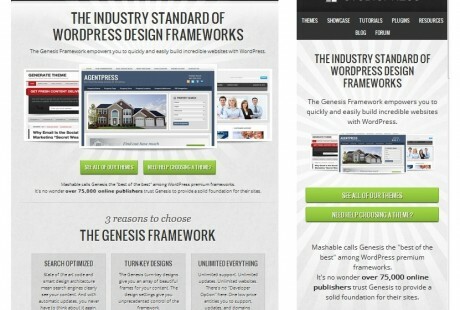 In the last few months several responsive themes have been developed. This means that you have a large variety to choose from. Even the WordPress default theme, “TwentyEleven” is responsive. My favourite theme providers Elegant Themes, StudioPress and Woothemes all have beautiful new themes that are mobile responsive. Before choosing a theme confirm that the content is displayed logically on a mobile device. You can use this free tool provided by StudioPress to check the behavior of any website on some of the more pervasive mobile devices, i.e. iPhone, iPad and small phones. 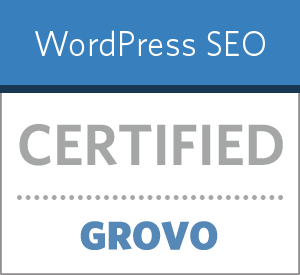 I started watching educational video by Grovo, just finished my first one WordPress SEO – everything about Yoast plugin for WordPress. Grovo is an online education and training platform that helps people find and use sites, and helps sites reach and educate users. Grovo produces free and Premium Business video tutorials that cover the Web’s most popular and useful sites as well as essential cloud services in social media, productivity, and online marketing. Applications include Facebook Profile, Advertising, and Pages, Google Analytics and Apps, Twitter, Yelp, Basecamp, and LinkedIn. Working on a website for local Maple Ridge business – Cake House who make Elegant to extraordinary cakes for any budget. 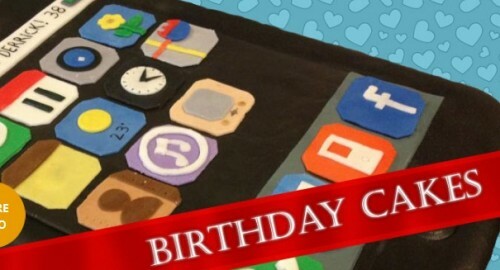 With online cake booking system build-in plugin. Galina Bazova needed a web presents for her business, a professional website easy to update.Katrina’s Design was more than pleased to be asked to assist them with the project. 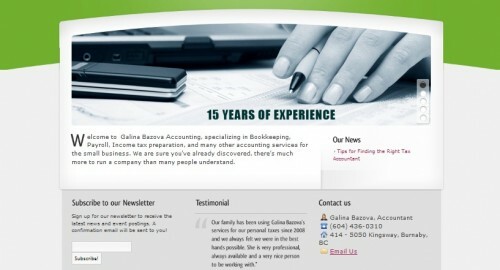 Galina Bazova Accounting specializing in Bookkeeping, Payroll, Income tax preparation, and many other accounting services for the small business in Vancouver.